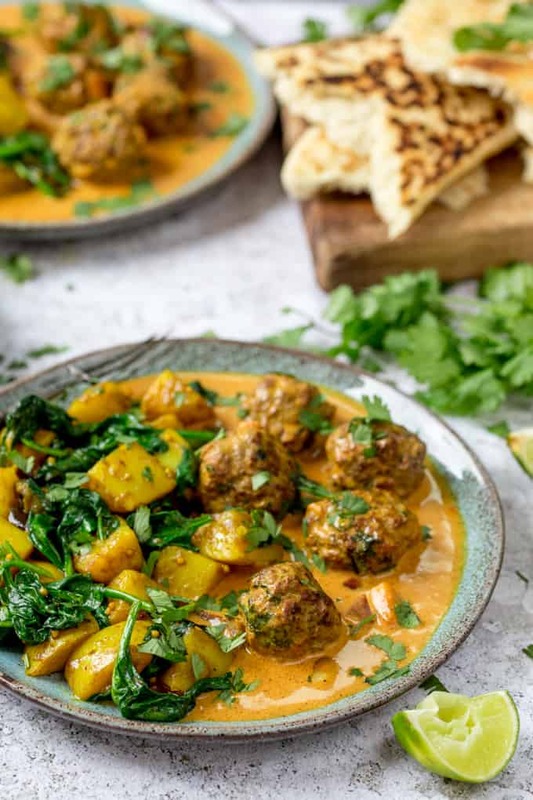 Beef Kofta with Saag Aloo – an aromatic creamy curry with juicy meatballs and spice-infused potatoes. It’s mild enough for the kids to enjoy too! I always cook rice when I’m making curry. It’s an automatic thing. 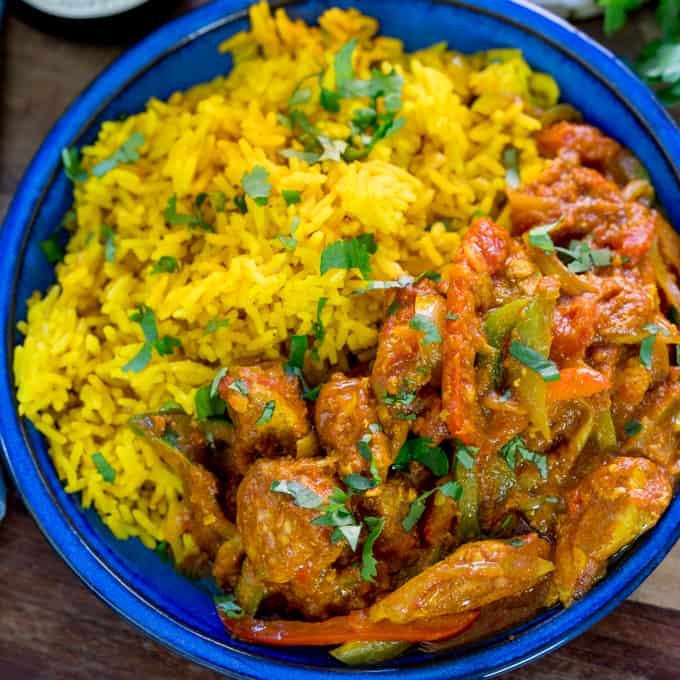 Even if we’re having naan breads or chapatis, I go into auto pilot and put on a pan of rice. So it was actually kind of nice for once, having the recipe out in front of me to follow step by step, to take me out of that autopilot setting. And it made such a lovely change! If you saw my first review of HelloFresh about a year and a half ago (the Cajun Pork with Bulgar Wheat and Garlicky Greens post) that was the first time I’d ever cooked with bulgar wheat (which is now a store cupboard staple – love making tabbouleh!). I guess sometimes I need instructions to try something different. 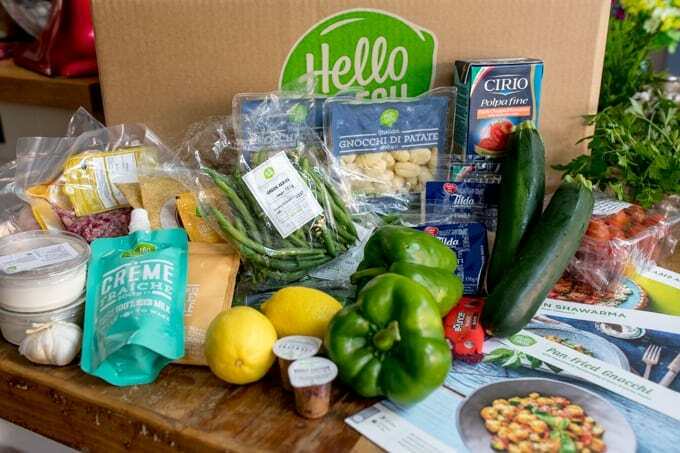 If you haven’t heard of HelloFresh, they come up with new recipes every week, that you can cook at home. 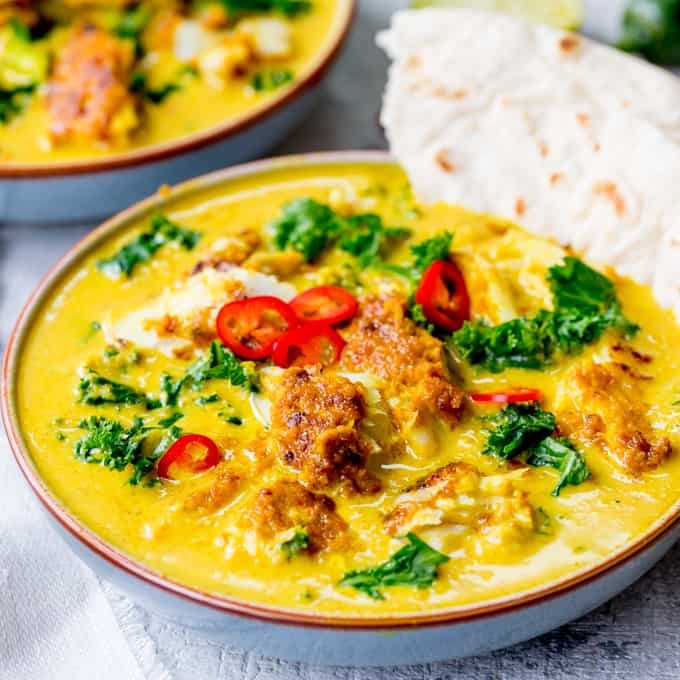 You simply choose the meals you fancy, and how many portions, then they’ll provide you with the exact quantities you need and deliver them to your door with step-by-step photo instructions. It couldn’t be easier – especially when you’ve got a busy week ahead. I’ve got a week of book writing this week (eek still can’t believe I can actually say that! ), so rather than eating blogger leftovers, or having to figure out what to cook after a day of writing, we’re going to be having pan-fried gnocchi and chicken schwarma. Gracey enjoyed opening up the ingredients and checking out the cooking steps with me, so even better, she’s decided she’s going to cook them! I might occasionally complain about my 12 year old wanting more independence, but sometimes it’s an absolute blessing! 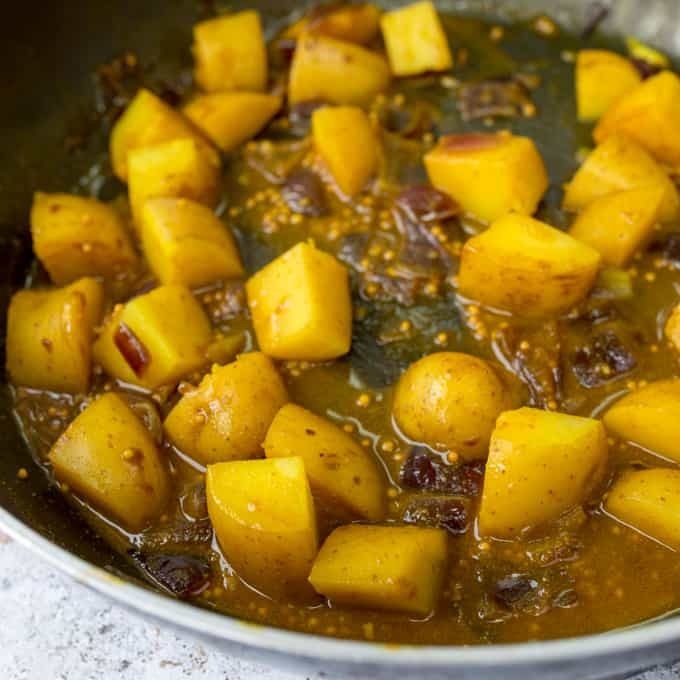 We start by making the saag aloo – which involves frying up red onions with garlic, then adding cumin, turmeric and mustard seeds. After that we add in the potatoes and stock and let that cook with a lid on, until the potatoes are tender. 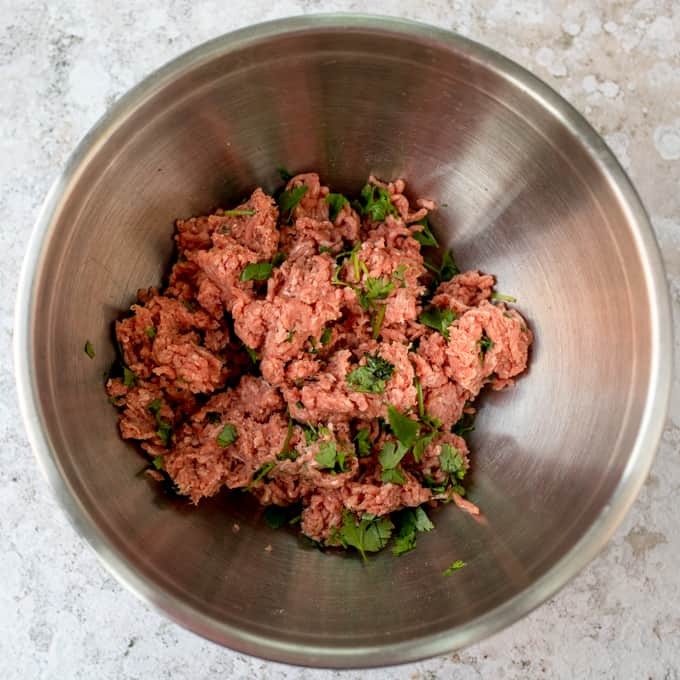 Then we make the meatballs, which are a simple mix of beef mince, salt, pepper and chopped coriander (cilantro). They’re fried up in a little oil until browned, before being removed from the pan. 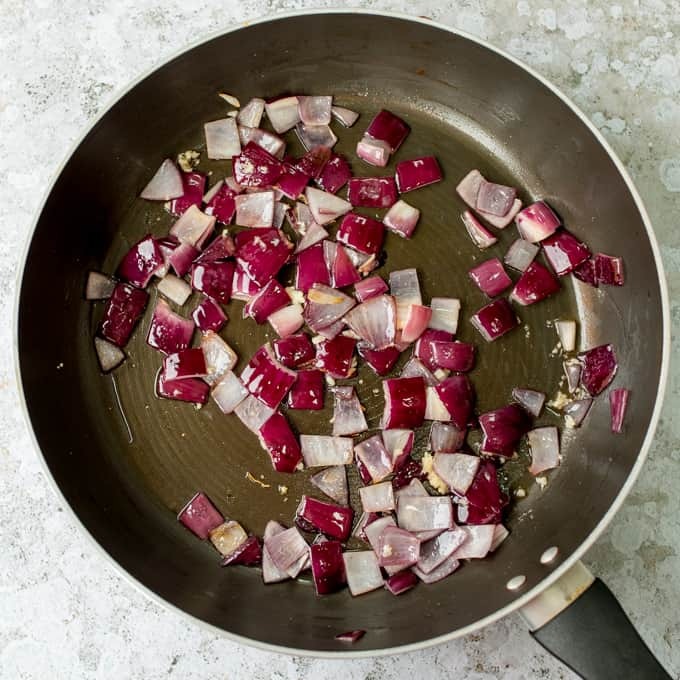 We then use the same pan to cook some tandoori paste, with red onion and garlic until lovely and fragrant. Add coconut milk and those juicy meatballs and simmer together until the sauce thickens slightly. 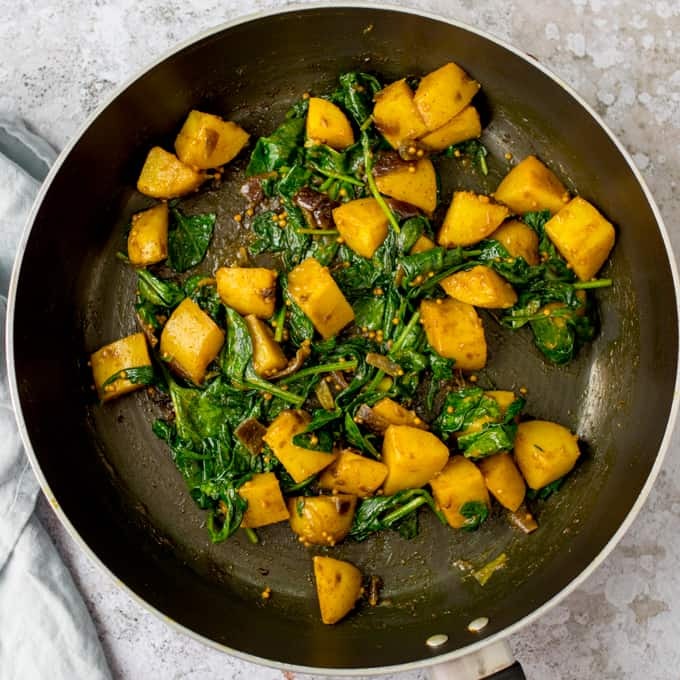 Spinach is added to the potatoes just before serving, which wilts quickly in the heat of the pan. 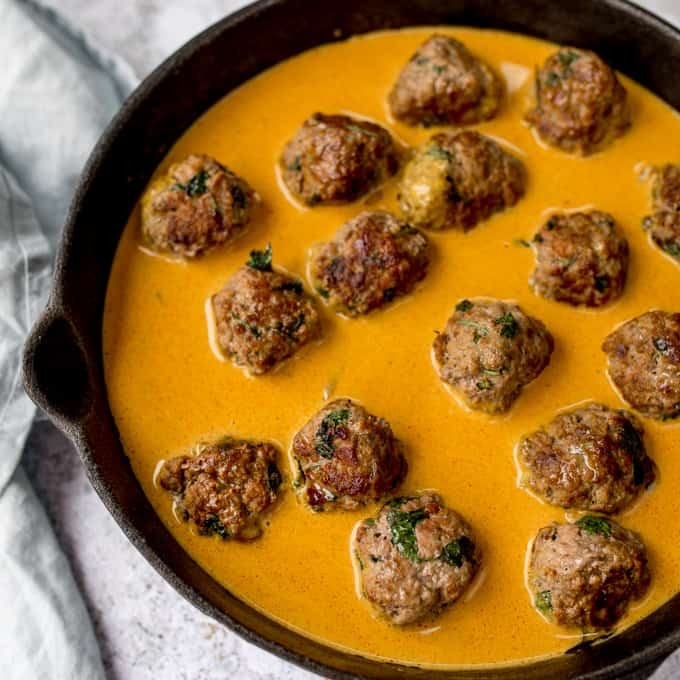 Here’s the link to the Hello Fresh page for this Beef Kofta, which has conversions for making it for 2 or 3 people, allergen info and other related recipes. At the time of writing this, the version from HelloFresh is gluten free. 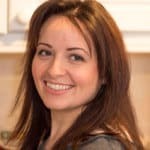 Although they don’t specifically provide gluten free meal boxes, they do show you the allergens on the meals you choose – so you can check the site when you choose your meals, and choose gluten free recipes. They also show you which ingredients contain the allergens, so you can choose to swap out that particular ingredient yourself if you prefer. Is this meal dairy free? Yep! Gotta love good old coconut milk for that dairy-free creaminess! 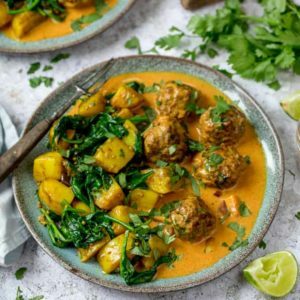 Hellofresh do a few lamb kofta recipes – I like the look of this one with sweet potato wedges, and also a vegetarian chickpea kofta which looks really good! 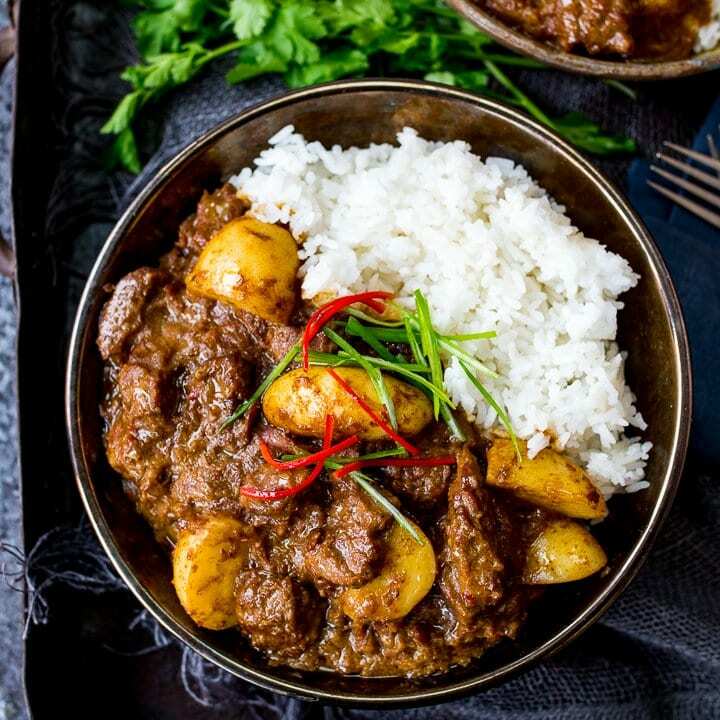 An aromatic creamy curry with juicy meatballs and spice-infused potatoes. It's mild enough for the kids to enjoy too! Heat the oil in a pan and add the onions. Cook over a medium heat for 5 minutes until starting to soften. Add in the garlic and cook for a further minute, then spoon half of the onion mixture out of the pan into a bowl. Add the cumin, turmeric and mustard seeds to the remaining onions in the pan and give the mixture a stir for a minute. Add in the potatoes and stock. Stir, bring to the boil. then cover and turn down the heat. Simmer for 15-20 minutes until the potatoes are tender. Meanwhile, start making the meatballs. Place the beef mince in a bowl with the salt, pepper and half the coriander (cilantro). Mix together and form into 16 balls (4 for each person). 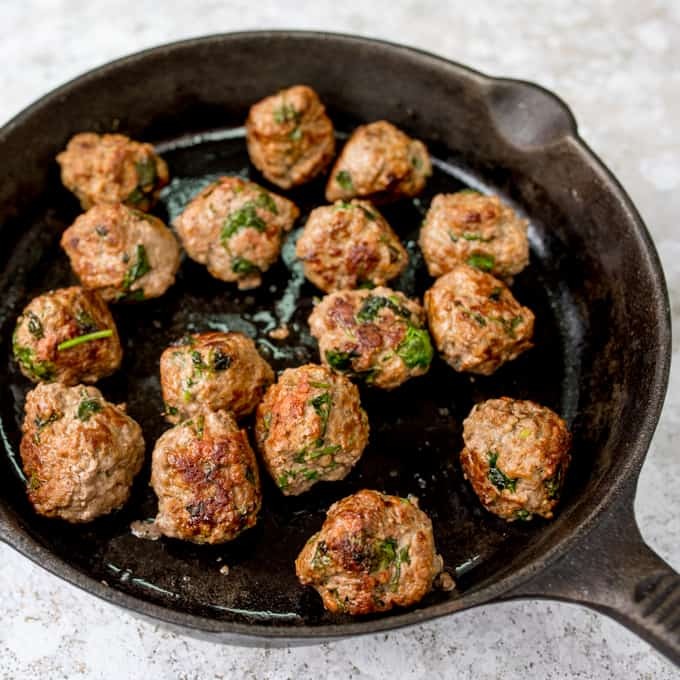 Heat the oil in a frying pan (skillet) and add the meatballs. Cook over a medium-high heat, turning often until browned all over (around 10-12 minutes). Transfer the meatballs to a bowl and place the reserved cooked onions from earlier into the same pan. Add the tandoori paste and cook for a minute on a low heat. Add the coconut milk and stock pot and stir together. Simmer for 5 minutes. Add the meatballs back in to the pan and simmer for a further 3-4 minutes. By now the potatoes should be cooked. Take the lid off and simmer for a few minutes more until the liquid is almost gone. Stir often to ensure it doesn't burn. Add the spinach to the potatoes. Turn off the heat and place a lid on the pan for 3-4 minutes until the spinach has wilted. 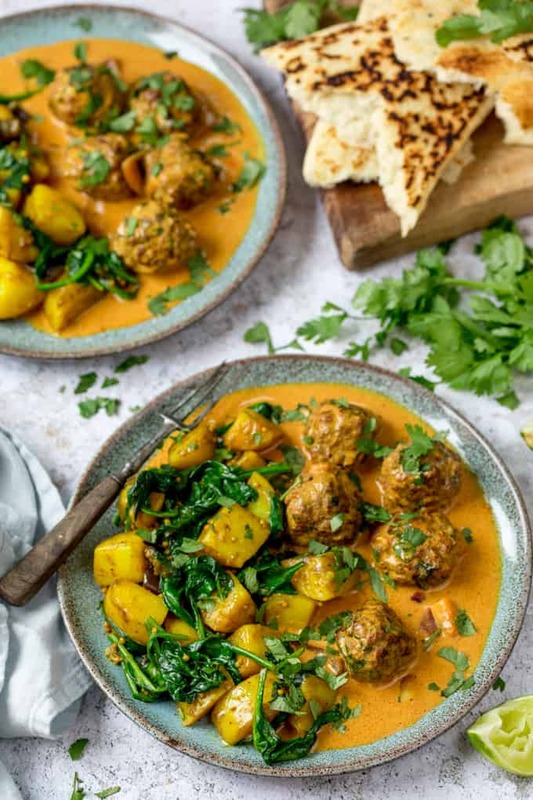 Serve the beef kofta curry and saag aloo together with the remaining coriander (cilantro) sprinkled on top. Nutritional Information is approx, per serving. Ummmm I hope you deliver because I need to have this for lunch today. I forgot my lunch and this would be the perfect replacement. LOL. Looks amazing Nicky! 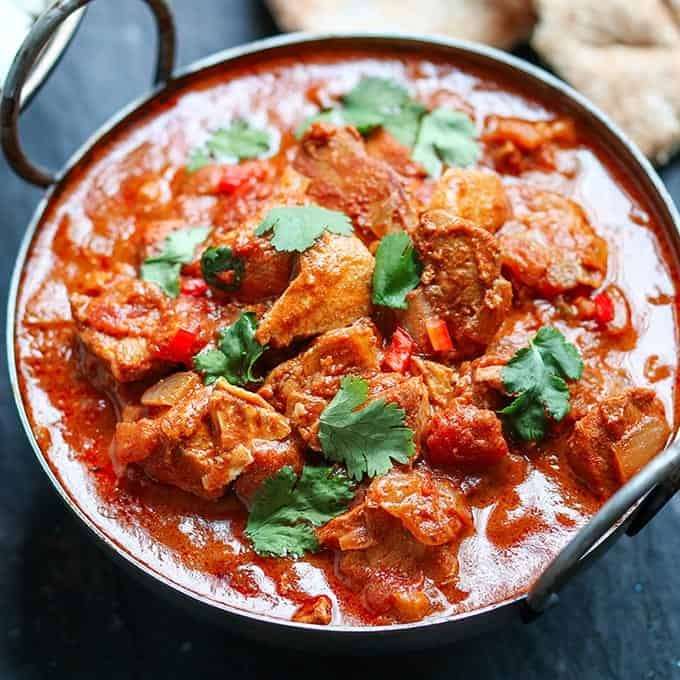 Loving the flavors and it looks easy to make!